Spring match: your gift will be doubled to help twice as many animals! This Memorial Day, give a gift in honor or memory of a veteran. Receive news and updates from LARC. Support veterans and animals healing from trauma together. 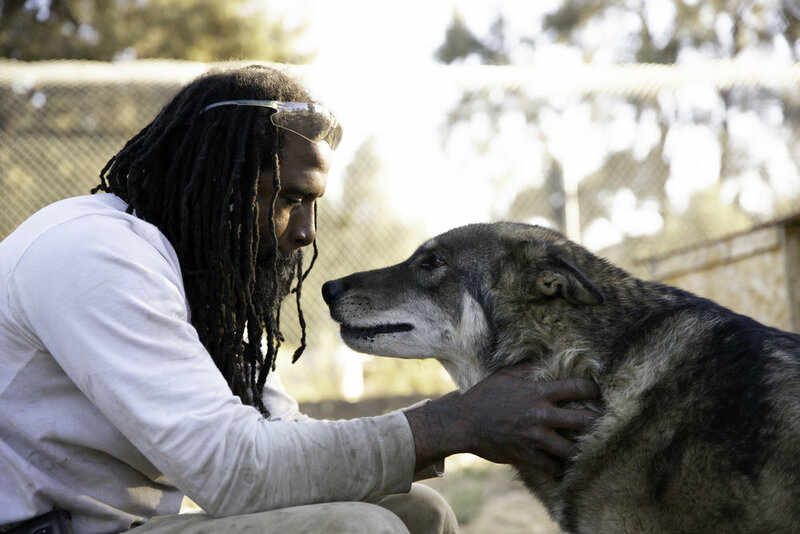 The Lockwood Animal Rescue Center (LARC), offers a therapeutic work environment for our returning combat veterans and a forever home to wolves, wolfdogs, coyotes, horses, parrots and other animals. Located on a 20-acre facility with a 3,000-acre buffer, we offer both the veterans and our rescued animals an opportunity to heal and thrive in a back-to-nature setting. Utilizing a holistic approach, LARC rescues wolves and wolfdogs needing permanent placement and provides them with a forever home in our sanctuary; we fight against the breeding of high-content wolfdogs sold to people who often have no idea what they are getting into owning a part-wild animal; and we take action against the slaughter of wolves in the wild. LARC houses Serenity Park, a sanctuary for parrots who have been relinquished by their human companions or rescued from cases of neglect. Formerly on the grounds of the West Los Angeles VA, Serenity Park continues to be served by the same veterans who mutually benefit from the relationship with their feathered friends. Birds of a Feather, the inspiring true story about the bonds between wounded warriors and forlorn parrots who are both healing at Serenity Park Sanctuary. The Lockwood Animal Rescue Center's Wolves and Warriors Program is the subject of a brand new and exciting documentary series on Animal Planet.